When Apple introduced the iPhone 5S and its Touch ID fingerprint scanner, it seemed like only a matter of time before other manufacturers followed suit. But don’t believe everything you read on the internet. Contrary to the claims of an official sounding press release, Samsung did not acquire Swedish biometric security startup Fingerprint Cards AB. They most definitely did not spend $650 million on the company. Nor is this a case of a misinterpretation of facts, as both parties have denied any sort of deal, and it doesn’t appear that Samsung has any sort of working relationship with Fingerprint Cards AB. The Swedish firm says it is investigating the matter and that legal actions could be taken against those responsible for the falsified report. LINE is stepping up it efforts to make a name for itself in the global market and is now introducing two new features that will put the Asian contender head to head with other players in the field. Starting today, users of the Internet-based messaging service will be able to make video calls and post short video clips, all for free. Video calls, once the domain of Skype and even of Apple with its Face Time app, has become a staple of Internet messaging services these days. One could say that LINE is somewhat late to the scene, with rivals Viber and WhatsApp already supporting the feature. But, better late than never as they say, and so the service is adding free 1-on-1 video calls to its features. Unlike Google+ Hangouts, though, it doesn’t seem to mention any support for group or conference video chats. 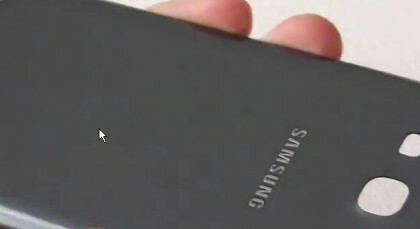 Samsung in talks with metal casing suppliers, metallic S5 coming? Bitcasa is touted as the service that offers “infinite storage” for your computer, phone or tablet and it looks like users will soon be able to use that storage to stream files to Chromecast. Users can get 10GB of free storage from Bitcasa or upgrade to that infinite storage level for $99 per year. While the pricing seems to be on the lower side, the low price of the Chromecast helped convince them of adding the support. Keep in mind, Chromecast support hasn’t been added to the Android app just yet though. More to the point, there hasn’t even been a firm timeline given as to when the update will arrive. Instead the confirmation comes by way of Bitcasa Product Manager Luke Behnke who recently spoke with MobileBurn. Behnke talked about how they had been looking into ways to get into the TV market. Android commander. The latest update for the Press app has arrived in the Play Store today. This brings the app to v1.4 and includes a decent sized list of changes and improvements. To begin with, this update has added Fever support and offline image caching. Fever is the fourth service included in Press and is said to be filling a previously uncovered gap. The other three include Feedly, Feedbin and Feed Wrangler. Basically, Fever brings support for self-hosted RSS. It was also said to have been one of the top feature requests for Press. Given that we suspect more than a few will be happy with this latest update. Shifting to that next feature — offline image caching. With the LG G2 and Moto X both officially here, it’s apparently time to start focusing on the upcoming Nexus 5 smartphone from Google. The rumors have already started flooding in, and right out of the gate we’re getting conflicting reports from all angles. Between a Motorola Nexus 5, to LG building it again with lower specs than the G2, now today we have one more to add to that list. A new report has surfaced from the boys over at Tinhte, which is the same site and forum that gave us the absolute original leak and video of what is now the Moto X smartphone. So they have some people in high places, although we can’t confirm where this rumor stems from. They have some interesting details about the upcoming Nexus 5 by LG.